72 hours in Goleta will give you a taste of our beautiful area, but will leave plenty of fun to be had on your next visit. Use this itinerary to book your perfect Goleta Style weekend trip - on the coast and down to earth. 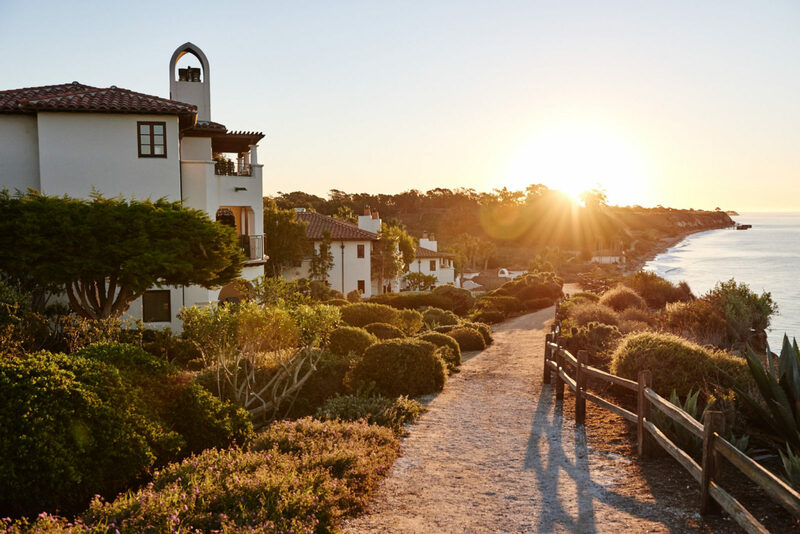 Mountaintop yoga, coastline golf, ocean bay stand-up paddleboard, excellent cuisine, and a craft beer scene that can’t be beat—Goleta has everything you need for an enjoyable coastal getaway. Lucky for you, we’ve handpicked a few favorites to round out a three-day visit, making the most of your time here. We’re in for a full day, so make sure to fuel up with breakfast at Cajun Kitchen – it will leave you full and ready to start the day. Swing into the Goodland Kitchen to pick up some local sandwiches and snacks to pack for a picnic. From there, it’s time to head to the beach. Goleta Beach consists of 29 dedicated acres with a fishing pier, sunbathing beaches, and paved trails. Choose your adventure; this is an excellent launching pad for a sea kayaking adventure, dip in the ocean, some bird watching, or some sunbathing in the sand. Enjoy your lunch at one of the many picnic tables. Next, it’s time for a visit to Fairview Gardens. This vast farmland features the best of Goleta’s fresh flavors. Stop by the produce stand for fruit and veggies sourced from nearby fields for some true locally grown love. Round out your first day in Goleta at one of the town’s craft breweries, Hollister Brewing Company. Enjoy a variety of local brews and a full dinner menu. Swing into Sage & Onion Cafe for a yummy, hearty start to the day. Our Tour de Goleta continues with a trip to The Playgrounds, a truly unique sandstone destination located on the hills overlooking the town. Enjoy some bouldering, hiking or just take in the view – it’s the perfect spot for your vacation picture. After that, stop by the Nikka Fish Market and Grill for some Dungeness Crab Salad, Seafood Pasta, or some choice daily fresh fish specials. Now it’s time to hit the greens. Even if you’re not an avid golfer, a trip to Goleta is well worth a visit to one of the area’s three incredible courses, all of which offer up unmatched views (and lessons if you’re a beginner!). Follow your round of golf with dinner at Los Agaves. This inviting Mexican grill offers authentic Mexican flavors, all accompanied by fresh ingredients. Try the Homemade Sopes, Chile Verde Burrito, or Mole Enchiladas. Finish off the evening with a visit to West Wind Drive-in with nightly feature films year-round that you can enjoy from the comfort of your car! Your last day means it’s time to indulge a little and relax a lot. Start with brunch at the Outpost. This vintage-California-inspired spot is a fun blend of social atmosphere, savory flavors, and simple but highly satisfying menu selections. After that, head to the Goleta Butterfly Grove. Beginning in October each year, thousands of Monarch butterflies congregate in the eucalyptus groves that span the interior boundaries of the Mesa. This phenomenal site is truly unforgettable and very relaxing. Take full advantage of your time away from home at The Spa at Bacara, where luxurious treatments are combined with the calming aspects of having the Pacific Ocean out its front doors. Choose from a variety of spa treatments and amenities that include adults-only pool, Jacuzzi, sauna, eucalyptus steam room, fireside lounge, and rooftop terrace. After the relaxation, treat yourself to dinner at The Bistro at Bacara. Touted as one of the “Top 100 Best Al Fresco Dining Restaurants in America” by OpenTable, this beautiful oceanfront terrace is an excellent place to end your three days in Goleta. Start with some Tuna Poke, then move onto the Winfield Farms Pork Chop, Skuna Bay Salmon, or Coconut Garlic Dahl. It might only be 72 hours, but each and every minute is sure to leave you happy, relaxed, and counting down the minutes until your next visit to Goleta.